Hi and Welcome to my site! I am Jody Hibbett (Graham) I live in Florida, but was born and raised in PA! 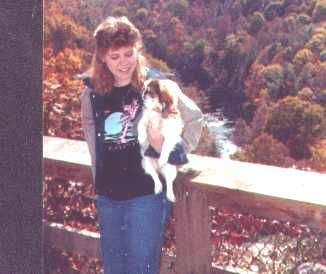 When I was born I had a sister, she was a pekingese, I miss her dearly! She passed of old age when I was about 6 years old. From that day on I said I would have my own peke. 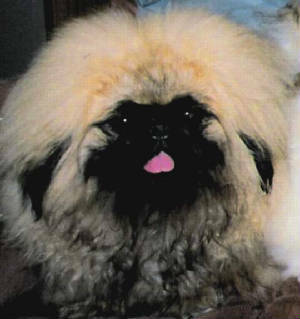 When I graduated from high school, I found a repretable breeder and got my very own peke kid. She passed away this year in April (2002) I also miss her dearly! 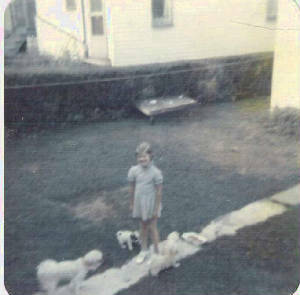 Well from the day I was born you can say I have had the love of pekingese in my blood. So I decided to get into breeding with all of the knowledge of the breed as you can say all of my life! This is a very difficult breed to breed, so I encourge anybody who wants to do this to please have the knowledge first! If you do not intend to do this please neuter or spay your pet! It helps them live a long and productive life! I have 3 of my own peke's, and I also do rescue and foster the breed! If you would love to give a rescue a forever home please email me! I figure if you are going to breed you have to take care of the breed all the way around, which means keeping the one's that are put into kill shelters from being KILLED! My life is for the peke and if you don't have a peke in your life you don't have a life! This is my motto! Well welcome again and I hope you enjoy my family of peke's! I started this site, because there are sooo many peke's in foster care! Nobody even knows about peke's in foster homes looking for there forever homes! I wanted to get the word out some how! People are always looking for pups, that is fine, but some people don't want or have the time to go threw all the puppy training and are just looking for a peke! Well I have a few rescue's and if I don't have what you want in a rescue I know allot of people that may, just for your family! If you are looking for a new family member just email me and I can get you in contact with someone if I can't help you or you can check out my links! Have fun with my site! I hope you find what you are looking for!